If you are looking for a plasma TV, chances are that you will have a hard time trying to find the right unit that would satisfy all your needs, and of course, your wants as well. One other thing to consider is that if you are not really sure you want to get a plasma TV, then there will be a huge possibility that you would end up buying something else (such as an LCD TV) instead. Most people who are on the quest for a new flat-screen TV often encounter this common TV question – which is better, plasma TVs or LCD TVs (or others)? If you prefer a huge screen display, then plasma is your best bet. 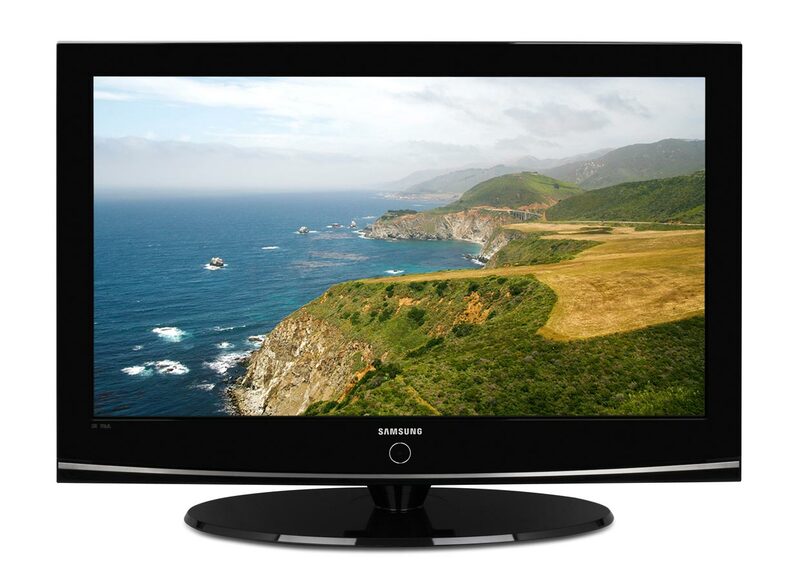 Plasma TV screens come in sizes that range from 32, 84 to 100 inches and even up to 152 inches! Thus, most people who want a large TV screen have more choices when they opt for a plasma TV. The price of a plasma TV starts escalating from screen sizes 54 inches and up. However, the price starts decreasing from screen sizes 50 inches and less. Plasma TV displays are created to turn off a pixel entirely as the blocking produces a much brighter image with more contrast between the blacks and whites (blacks appear blacker and whites appear whiter), resulting to colors that look more vibrant and life-like, unlike that of an average TV. Most major manufacturers provide plasma TVs in the wide screen (16:9) mode. A typical plasma TV viewing angle ranges from 160 to 180 degrees, which means you can view the picture from just about any angle. Plasma TVs are desired for their superb refresh rates. This means that you will be able to watch fast action scenes as if you were actually there. The average-branded plasma TVs have a half life of 50,000 to 70,000 hours. (Half life means 50% of brightness is lost as compared to a new one). For instance, if you watched TV for 6 hours per day, then it would take about 20 years for your plasma TV to reach a half life of 50,000 hours. Most branded plasma TVs are very cost-effective. They are built to last for a very long time and are practically maintenance free. The truth is, buying a TV is more of a personal choice that each shopper must make for themselves. If you are still undecided whether or not to get a plasma TV, then you should go to a reputable dealer, really take a close look at their wide variety of TVs, narrow down your choices according to your TV preferences, and make your decision based on what kind of TV will give you the most satisfaction and fits your overall budget expectations. However, if you’re very passionate about the whole “global warming” thing, keep in mind that the production of all flat screen TV’s might come at a cost to the environment. Great tips to the guide for purchasing a plasma TV. I like the point on the lifespan because it is not something that I considered before. Perhaps I should check on my home TV now and reduce my TV time to keep the TV longer lasting. Thanks again. An exellent well infromative short article about new technology plasma tvs. I was searching for buying tips and some of really great tips and especially the half life of plasma TV. I have earlier read only about the half life of radioactive materials and this is quite new for me, although I have experienced that over time the brightness of plasma TV fades. Thanks for highlighting these facts. Very good tips. Another thing to be considered is how much video gaming is to be played on a plasma. I have read about burn-in issues on new plasmas from excessive game playing. A timely post for me because I am planning to get a new TV. Our quite old TV is broken so we need a new one for its replacement. DJ ARIF recently posted… The Top Secret About The Top iPhone Apps That iPhone Apps Developers Will Never Told You…. Great review, I am looking for a new TV and have trouble distinguishing what type I should get. Do you have the pros and cons of each? I’ve had a 42″ Panasonic Plasma Viera for about three years now. Awesome image with a HD source. Only complaint is that it emits a fair amount of heat and therefore, I assume, uses more power than a LCD TV. I think plasma TVs look better but I have not put a high end plasma beside a high end LCD and watched the same HD source simultaneously so I really don’t know that for sure. Plasma TVs offer many advantages over other television technologies, and this accounts for why they are the fastest selling ‘new’ TV technology on the market. i have a Big Plasma TV which can display up to 16.77 million colors – more than the human eye can even register – to provide a highly accurate, lifelike picture. A well descriptive article about Plasma TV. People should read your article and should consider these points before buying Plasma TV. I have a plasma at home (Samsung) and the picture is unreal! I’ve never had any kind of problems with the TV. The cost was really fair too (roughly $650 for a 50″, about 2.5 years ago). Don’t forget to build a coat hanger tv antenna to get free local HD channels on your plasma tv! I have a 50″ plasma TV and I absolutely love it! It’s better than a LCD I think. Nice succinct review. Be nice to have one also on LED and LCD because I asked about this in the shop and even though the guys mouth was moving I don’t believe that even HE knew what he was saying and I still don’t know the difference.